Video games are undoubtedly one of the most profitable multimedia products available today. Each year, customers spend a significant amount of money on individual games and the consoles that are required to play them. A video game can either come in disc form or as software that is downloaded. Modern products of this type tend to update themselves regularly so that any potential bugs are easily fixed. This means that even if a game does develop a fault on its initial release, this could be rectified in the near future. 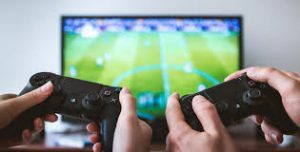 Players sometimes also prefer to buy games a couple of weeks after the release date so that these bugs have already been discovered and fixed. Pong was not the first ever video game, but it was a significant one for the industry. At the time arcade games were nowhere near as profitable as they are in the modern day. When Pong came out in 1972, it proved to be significantly successful. The home system version ensured that average people would buy this type of multimedia. Pac-Man is a maze exploration themed game that popularised some of the most abundant elements seen in similar genres. This includes enemies with AI, bonus item pickups and power-ups. It is also important for how it introduced the main character with their own recognisable branding. Players control the eponymous pizza shaped character. They must navigate through a map while being chased by a variety of multicoloured ghosts. Pac-Man has become of the most iconic figures in the world of gaming. Tetris was created in the 1980s by Alexey Pajitnov during his time at the Moscow Academy of Science. It is a puzzle game that involves sorting abstract shapes into ordered blocks. It offers players an addictively enjoyable experience. This popularity has led to it being discovered by new generations. This platformer introduced another iconic gaming character. Players control Mario as he travels through a world full of unique villains and interesting secrets. This title proved to be particularly lucrative for home consoles. It made platform based games the standard genre that they are today. This game revolutionised First-Person Shooters (FPS). It had an ingenious level design, as well as an excellent mixture of horror and sci-fi action. It was released for PC systems in 1993. Gamers enjoyed Doom due to its extreme, visceral nature. It served as a blueprint for the FPS games that would come after. This was the first GTA game to be released with 3D graphics. Players enjoyed the freedom they found when roaming the fictional streets of Liberty City. They were able to complete the storyline missions at their leisure. Some people were satisfied with merely causing havoc on the pixelated roads. There have been a countless number of imitators, but GTA III was the first to introduce this unique style and structure. Future GTA titles would build on this, making it one of the highest selling franchises of this medium.